Since the main cause for type 1 diabetes is not clear, it is quite expected that the diagnosis for this autoimmune disease is complicated. Truth is type 1 diabetes diagnosis is based on several factors, who aim towards determining the diabetes type, stage and condition. In order to determine the diabetes type, we would first have to introduce you to the three main types of diabetes: type 1 diabetes, type 2 diabetes and gestational diabetes. Our focus here is on the first type, also referred to as juvenile diabetes. However, in order to explain how the diagnosis is set, we have to explain what the difference between the three actually is. Type 1 diabetes is first diagnosed in teenagers, children and young adults. This diabetes type can be characterized by complete failure of the beta cells in the pancreas in making insulin. The reason lies behind the attack of the immune system. Type 2 diabetes or the adult-onset diabetes is probably the most common diabetes type (with 90-95% of the total number of diabetes patients diagnosed with type 2). This diabetes type can be developed at any age, but is most commonly associated with older age. Additionally, this type is also associated with physical inactivity, genetics, previous history of gestational diabetes, excess weight and certain ethnicities. The third one, gestational diabetes is a diabetes type that can only develop during pregnancy. The reason lies behind the hormones increasing the insulin amount. These hormones are produced during the pregnancy and if the body cannot meet the need for insulin, gestational diabetes may develop. This type of diabetes usually occurs in the late stages of pregnancy. Luckily, in most cases, gestational diabetes goes away after the woman has given birth. Prediabetes is a condition when the levels of blood sugar are higher than normal, but still not high enough for a diabetes diagnosis to be set. Prediabetes can be explained as a condition when the person is at high risk for developing diabetes or stroke and some heart diseases. People diagnosed with prediabetes develop diabetes within 10 years of the diagnosis. The first prediabetes and type 1 diabetes test are blood tests. Blood tests are used to diagnose prediabetes in cases where the diabetes is in an early stage, when no symptoms can be seen. The diabetes blood tests involve drawing blood and analyzing that blood in a lab. The lab analysis is required in order to ensure the accuracy of the test results. 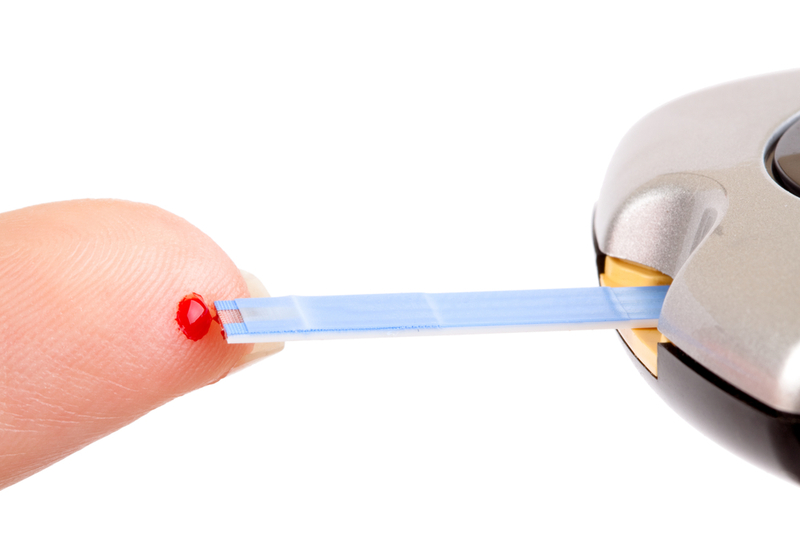 The devices for measuring glucose used in the doctor’s office, including finger-stick devices, cannot provide patients with fully accurate diagnosis. However, they are commonly used as quick indicator of the high levels of blood sugar in blood. Diabetes testing gives health care professionals a chance to diagnose and treat the diabetes, before any complications occur. The best option here is to diagnose prediabetes, which can be treated completely prior to allowing it to develop into diabetes. An FPG test is used to diagnose prediabetes and diabetes and it is known to be the most commonly used test for this disease. The reason behind this is because this test is more convenient and less expensive than the OGTT. The FPG test procedure is used to measure the blood glucose in people who have fasted for a minimum of eight hours. It is most reliable if performed in the morning. People who have a fasting glucose level ranging between 100 and 120 mg/dL are diagnosed with prediabetes, while a level of 125 and above is diagnosed with diabetes. The A1C test can detect prediabetes and diabetes, but is rarely recommended for type 1 diabetes diagnosis. This is a blood test that examines the blood glucose levels of a patient over a duration of 3 months and cannot show daily fluctuations. It actually works with results based on the average level. However, it is more convenient than the glucose test because it can be performed at any time of the day and does not require any fasting. The higher the percentage that results from this test is, the higher the blood glucose levels are in the patient. Normal A1C result is level below 5-6 percent. If the percent is higher than 5.7 and ranges up to 6.4, this is an indicator of prediabetes. Even if the percentage is lower than 5.7, people may still be at risk for diabetes. If the percentage is higher than 6%, these patients are considered to be at high risk of developing the disease. When the percentage reaches 6.5, a diagnosis for diabetes is set. The oral glucose tolerance test is used to diagnose: prediabetes, diabetes and gestational diabetes. This test is known to be more sensitive than the FPG test. However, it is less convenient when it comes to administering. The way this test works is also by measuring blood glucose after the person has been fasting for at least 8 hours. An addition to this prerequisite is that it has to be done 2 hours after the patient is given a liquid that contains 75 grams of glucose, dissolved in water. When the patient has done this and the OGTT is performed, if the glucose level is between 140 and 199 mg/dL, the patient is diagnosed with prediabetes (also referred to as impaired glucose tolerance or IGT). If the second test confirms this and the glucose level is 200mg/dL or higher, the person is diagnosed with diabetes. The last test is sometimes used during regular health checkups to see if there is a sign of diabetes in the patient. If this test measures 200 mg per dl or higher, further examination may be recommended. When blood test is used as type 1 diabetes test for diagnosis, the sample is sent to a laboratory. In order to make sure that the results are standardized, doctors must follow the NGSP guidelines in the transferring procedure. When the blood samples are analyzed in the office of the health care provider, these are not standardized. They are also known as point of care tests. Some tests may prove to be unreliable for monitoring or diagnosing the disease in patients. The most common cases where this happens are patients who suffer from certain conditions that can interfere with the results of the tests. When the results seem abnormal or different from those of blood glucose test, interference should be suspected. There are groups of people that are at higher risk of interference. Such groups include people of Mediterranean, African or Southeast Asian descent. Additionally, the same applies to people who have a member of the family with cell anemia or thalassemia. False type 1 diabetes tests results may also occur when people have other problems such as chronic kidney disease, anemia and even liver disease. When it comes to variations of results depending on the person, the main reasons for this happening are the activities of the patient. The blood glucose levels can move both up and down depending on the exercise, activities, meals, sickness, medications and stress of the patient. Even though the purpose of these tests is the same, every test measures the glucose levels in the blood in a different way. This is why different results can come out of different tests. When it comes to the same test and the same laboratory, there still may be some variations. It so happens that even though the blood sample is the same, the changes in equipment, sample handling and temperature can cause result variation. All the above mentioned tests are actually used to diagnose and indicate type of diabetes, but in some people one will indicate a diabetes while another one may not. This is usually the case with people who are in early stages of the disease. Taking these variations into account leads to repeated laboratory tests in the process of diagnosing diabetes. Adults, children, teens and pregnant women should all be tested for this disease, according to the risk factors. In order to determine whether or not you are obese or overweight, you can use the ‘body mass index’ chart. All pregnant women who are at risk of type 1 diabetes should be immediately tested during their first visit to the doctor’s office. This must be done with the purpose of checking whether they had some undiagnosed diabetes prior to becoming pregnant. After this is determined, they should be again tested for diabetes between 24-28 weeks of pregnancy (usually by using the OGTT). If the pregnant woman has been diagnosed with gestational diabetes at the beginning of her pregnancy, she should have follow-up testing also after the baby is born (6-12 weeks after). In this way, the doctor will make sure that the woman does not have diabetes or prediabetes. When the testing results are normal, this testing should still be repeated, at least every 4 years. Setting a type 1 diabetes diagnosis is not an easy task, but this disease can be properly handled if discovered early and if the patient is willing to take care of their health for the rest of their lives. With the advances in technology, diabetes patients are now able to live long, healthy life without any additional health issues, only if they make sure to follow all guidelines of the proposed treatment from the health care professionals.